Summer Grilling with DOROT… You may remember back in March where I partnered with DOROT Garlic & Herb Cubes to bring you my recipe for Remy’s Ratatouille. 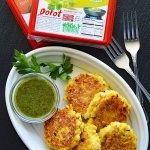 That was such a fun project and now that we’re heading into warmer months, I thought I would show you how I incorporate DOROT into my summer cooking as well. Elevate your plate! Say goodbye to indoor cooking and say hello to outdoor grilling! I created a simple herb butter to brush over my corn on the cob as it grilled. But wait, where can I find DOROT you ask? 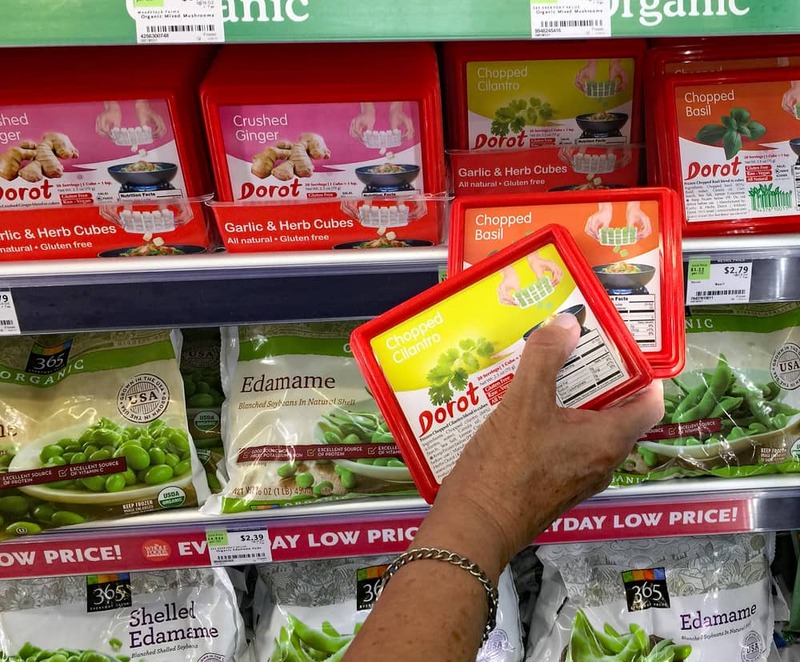 The DOROT Garlic and Herb Cubes were really easy to locate right there in the frozen section. In my Whole Foods store, they were in among the frozen vegetables. You can find a location near you by clicking here. 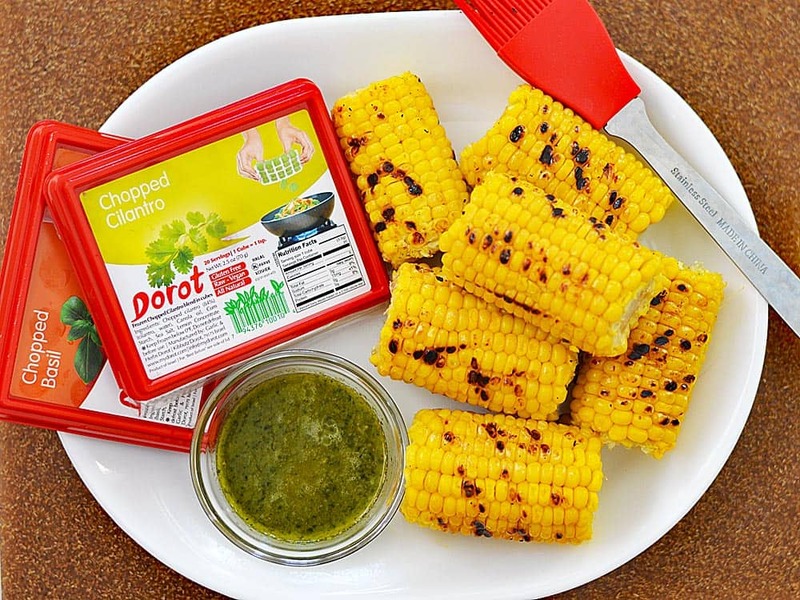 DOROT offers a variety of options including: Chopped Garlic, Chopped Parsley, Glazed Onions and Crushed Ginger. Today I am using the Chopped Cilantro and Chopped Basil. These little pre-portioned cubes of fresh garlic and herbs are picked at the peak of freshness within 90 minutes of harvest and then flash frozen. Did you know they have a two-year shelf life? Simply pop them right out of the tray for effortless food prep! After the corn is tender and has those awesome grill marks, you’ll want to cut the kernels off of the cob. The corn is still hot, so we used a corn holder to keep from burning our hands. A sharp knife makes quick work of this task. Next up, I’ll add the grilled corn to a mixture of flour, cornmeal, baking powder, salt, pepper and a bit of almond milk. The mixture will seem loose, but it will firm up just fine. I actually used a cookie scoop to make sure I had uniformly sized cakes. This recipe will yield about 10. Using a nonstick pan will allow you to use the absolute minimum amount of oil to fry in. I cooked these for about 5 minutes per side or until golden brown. Remove to paper toweling to drain any residual oil. I loved that herb butter so much, I made more to serve them with. I am so impressed with the DOROT cubed herbs. I love keeping them on hand in the freezer. Since being introduced to them, I pretty much add them to everything now. No chopping, no mess…just the perfect amount of herbs whenever I need them! Here’s that dipping sauce and again, it was just butter (or vegan margarine) and two each of the DOROT Cilantro and Basil cubes. You can of course adjust this to taste. Another option for the dipping sauce would be to add the defrosted cubes to a mayonnaise/mustard mixture. So essentially you would be making an herb mayonnaise instead. 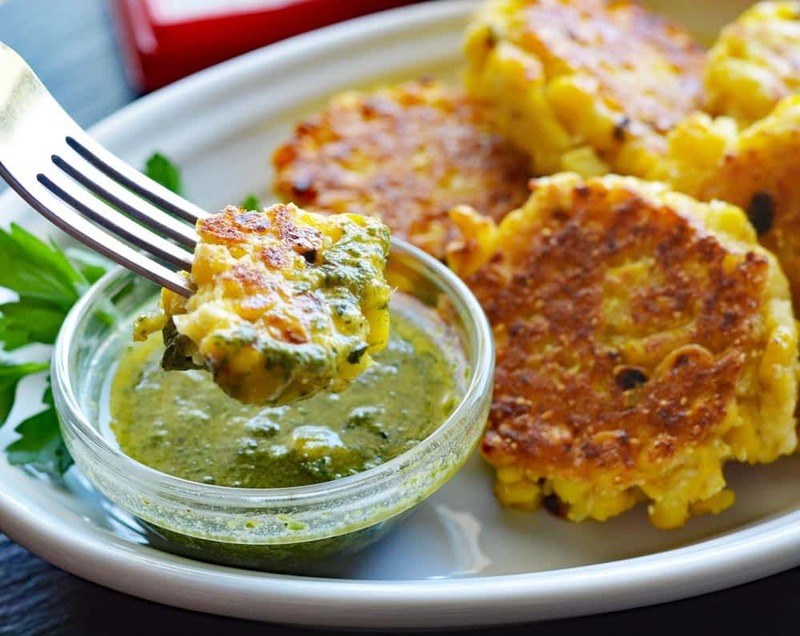 Did you try this recipe for Grilled Corn Cakes?? 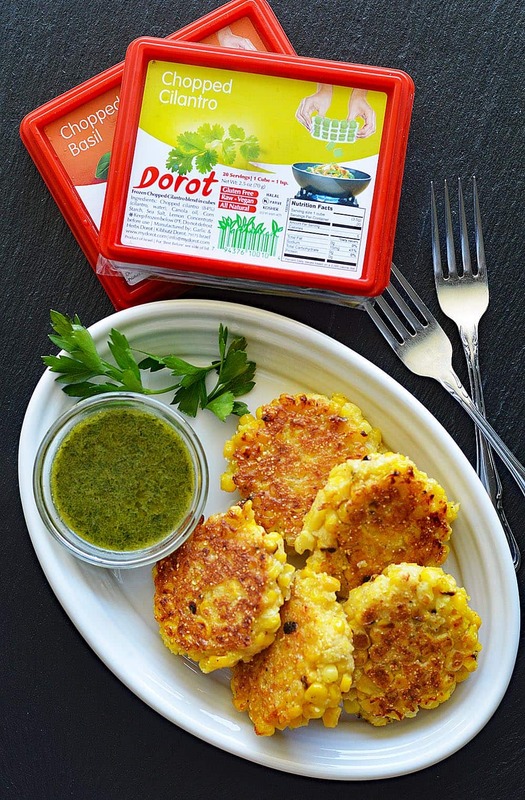 What do you make with DOROT Garlic and Herb Cubes? Let me know down in the comments section below what you thought. Grill corn, brushing with herb butter, until tender and charred. In a large bowl combine all of the ingredients for the grilled corn cakes. Heat a skillet over medium high heat and add some vegetable oil to the pan. Using a large cookie (or ice cream) scoop, measure out about 5 scoops into the skillet and flatten with a spatula. If the spatula sticks, use a bit of cooking spray. Cook for 5 minutes on one side or until golden. Flip and cook and repeat. The cakes will firm up as they sit. Combine the DOROT cubes with butter/vegan margarine and melt for serving. One DOROT cube is the equivalent to 1 teaspoon.